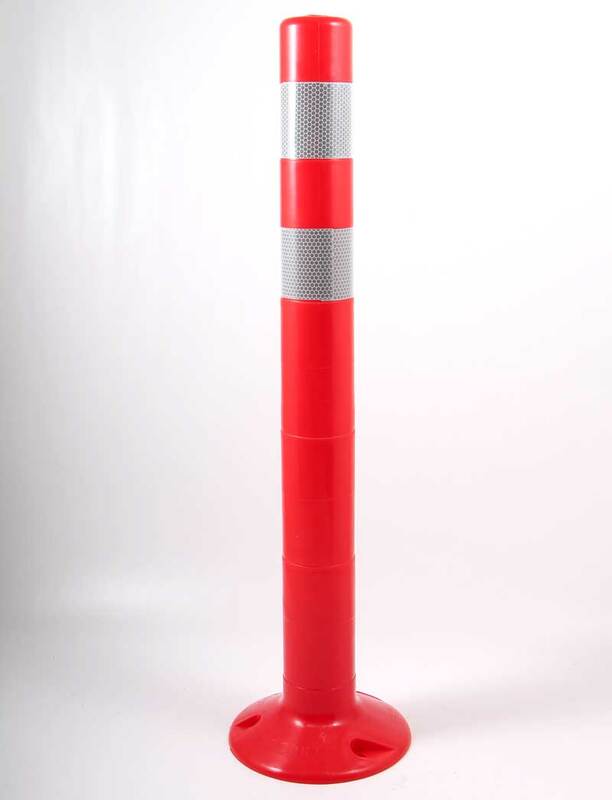 PROTECT Company manufactures flexible road marker post for organization of safe traffic in city areas, at airports, in parking lots, parking areas near office buildings or supermarkets. The item features unique design, which makes it a convenient and economical solution. For the production of flexible marker post SSU is used modified polymer. The product is characterized by high modulus of flexibility: the structure can easily bend under mechanical stress and restore its initial shape after some time. The signal elements of flexible marker post are clearly visible under any weather conditions. The body of SSU post is colored in red according to GOST (Russia) and answers the safety requirements for road traffic management. Their surfaces are supplied with light-reflective stripes, which add to the visibility of road marker posts at day and night. Flexible road marker post can be fixed on the road surface with metal anchors or anchor bolts. Its use and installation is allowed in any season. The product withstands both low and high temperatures.